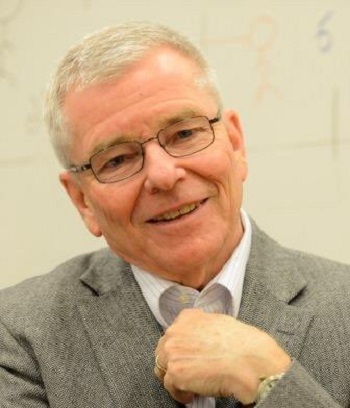 Darrell Johnson will be the key speaker at the BC Christian Ashram Retreat in mid-July; he has long admired the movement’s founder, E. Stanley Jones. It’s not often you hear the word ‘ashram’ in a Christian context – at least not outside India – but we are fortunate enough to have an annual BC Christian Ashram Retreat, this year at Trinity Western University July 14 – 16. The term ‘ashram’ is a Sanskrit term that means ‘a’ (apart from) ‘shram’ (work), or retreat. This year the featured speaker is Darrell Johnson, who is well known around town as an excellent preacher and a leader of integrity. Johnson was chosen, no doubt, for those qualities, but he has also harboured a deep respect for the founder of the ashram movement, E. Stanley Jones, ever since his time in graduate school. During the last year of seminary (Fuller, in Pasadena, California) I was in a small prayer group with fellow students, one of whom was John Piper. 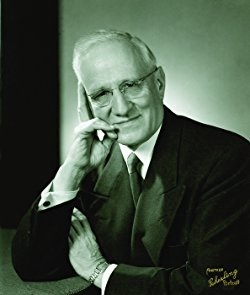 As graduation approached, the group leader, Daniel Fuller, son of the founder of the seminary, charged each of us to get to know one servant of Jesus whom He has used to spread the Gospel; to ‘sit at the feet’ of that person, reading everything we could about their message and ministry. John Piper chose Jonathan Edwards; and if you know John you know how Edwards impacted John’s life and ministry. E. Stanley Jones is still held in very high regard by the church of India. I did not immediately know whom to choose, as I had come to seminary out of doing physics and my ‘heroes’ were scientists. It was in the second year after ordination that I encountered E. Stanley Jones, not in person, but through his books. He is the Methodist missionary of the 20th century whom God used in powerful ways in India, so much so that the church of India refers to him as the greatest missionary since the apostle Paul! I began to read everything I could get my hands on. Then, in 1985, God called me to serve as the pastor of Union Church of Manila, in the Philippines. 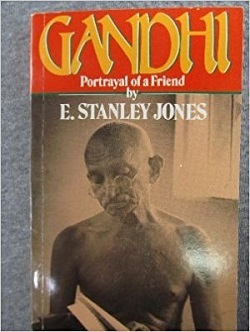 It was there that I found Jones’ book on Mahatma Gandhi, Gandhi: Portrayal of a Friend. I will forever be grateful for that book, for in it Jones opens up, and no one else I know, the full implications of Jesus’ Sermon on the Mount, especially His teaching on non-violent resistance to evil and loving enemies. I would then witness the reality Jones describes in the People-Power Revolution of 1986. The Lord would then use more of Jones’ writing to further equip me. . . . Brother Stanley, as he was familiarly called by thousands of people, attracted wide attention among the high castes, the students and the intelligentsia. He was invited to speak at ancient universities and before learned societies. Soon he was set aside by his church to interpret the Christian Gospel especially to educated men and women. . . .
His work became interdenominational and world-wide. He held before men the example of God’s reconciliation to mankind through Jesus on the cross. He made Him visible as the Universal Son of Man who had come for all people. This opening up of nations to receiving Christ within their own framework marked a new approach in missions. It came to be known as “indigenization”. He helped to re-establish the Indian “Ashram” (or forest retreat) as a means of drawing men and women together for days at a time to study in depth their own spiritual natures and quest, and what the different faiths offered individuals. Many came to refute the Christian Gospel or to extol their own, but many came to accept Christ’s way of life. These confrontations of man with man and religion with religion greatly influenced the thought life of India’s leaders and the views and activities of its ancient faiths. . . .
Dr. Jones became a friend of Mahatma Gandhi and wrote an appreciative biography of Gandhi. Martin Luther King Jr. told the daughter of Stanley Jones, Eunice Jones Mathews, that it was reading her father’s biography of Gandhi that convinced him to adopt the strict non-violent method in the civil rights struggle. For the full write-up go here. This Friday (June 30) is the deadline to register for room and board at TWU; after that, you can still register to attend as a day camper.